Anasuya, Rashmi Gautham, and Sreemukhi – Anchors or Skin-show mavens? Who is leading? Anasuya, Rashmi Gautham, and Sreemukhi Anchors or Skin-show mavens? Previously, anchoring meant a special art. It demanded conversational skills, charm and sense of humour. In recent times, anchoring is largely limited to skin show. Be it Anasuya Bharadwaj, Rashmi Gautam or Sreemukhi, the three anchors have redefined the meaning of anchoring on the small screen. 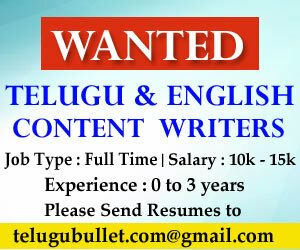 Frankly, it all started with Anasuya with the Jabardasth show. Anasuya became the first anchor to showcase glamour even on a TV show. Soon, the show became unwatchable for children. 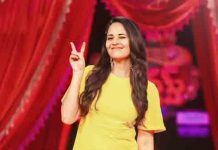 Anasuya’s skin show and double meaning dialogues by contestants became the only promotional content for the comedy show. Soon, Rashmi Gautam took over the show as an anchor, after Anasuya left the show citing personal reasons. Surprisingly, there was no gap between the demand and supply of glamour. Rashmi Gautam too did her best and was seen mostly in a skin-show friendly attire throughout many episodes. Things did go overboard at times. Searches for Rashmi Gautam and Anasuya mostly point out towards their dressing sense in the Jabardasth show. Another top anchor currently trending is Sreemukhi. Though she did in a couple of movies, she did not get much recognition. She got all that she wanted from the small screen, if not from the silver screen. Sreemukhi has been labelled as a glamour girl, someone who doesn’t shy to reveal what she has in store. Likewise, rumours about her relationship with co-anchor Ravi only propelled her fan following in the public, especially among youth. In recent times… and future! It is true that Rashmi Gautam is slightly lagging behind Anasuya and Sreemukhi as far as social networking sites are concerned. Rashmi Gautam has 3,32,000+ followers, while Anasuya Bharadwaj has 5,86,000+ followers on Twitter. Sreemukhi leads the race with 6,37,000+ followers. The biggest advantage Rashmi Gautam has over her contemporaries is that she has acted in more feature films than the both combined. This not only propels her film career but also makes her presence in the films more prominent. Anasuya is able to grab some good offers in star movies like ‘Rangasthalam’ lately. But it is highly unlikely for the anchor-turned-actress to play the lead female role in a full-length feature film any time around. Though she claims to be 32-33 years old, film circles often look her as 35+ woman! It shouldn’t be surprising if Anasuya is limited to glamour roles and character roles in feature films. Similarly, Sreemukhi’s future on silver screen looks bleak. She did manage to star in 5 Telugu movies in 2016. But since then, she has been desperately trying to be the lead actress. Her last film as a lead actress was in 2013 with ‘Prema Ishq Kaadhal’. The famous saying, ‘to make something special, it should be less visible’, clearly comes true in Sreemukhi’s case. The anchor believes that she is promoting herself by posing for back-to-back photo sessions. Little did she know, the more visible she is on the small screen, less is her chances to be a part of feature films. Given her extreme presence on social media, she isn’t anymore considered as a fresh face! Sreemukhi on Small Screen, and Rashmi on Silver Screen! Among these three; Anasuya Bharadwaj, Rashmi Gautam and Sreemukhi, Anasuya will fall behind in the race in the coming few years. There is no way for her to be the lead actress. Moreover, she has been offered roles that demand glamour quotient, than her acting. Frankly, she is only popular for her glamour in movies, besides her ‘glamour’ popularity on TV. Sreemukhi’s fan following, and her presence on social networking sites, clearly hint her as the leading one on TV. Rashmi Gautam’s presence can be taken lightly, given the dominance of Sreemukhi and Anasuya. Rashmi Gautam outclasses both Sreemukhi and Anasuya when it comes films. Even Rashmi Gautham is famous for her glamour and skin-show. But the actress did manage to grab some good offers in recent times. She can be the second fiddle to the heroines in movies. Conclusion: From the times of Jhansi, Udayabhanu, and Suma, things have moved on to Anasuya, Sreemukhi and Rashmi Gautam. The first three were known for their anchoring skills, their ability to enthrall the audience and for their sense of humor. Likewise, the latter three are known for their skin-show, double meaning dialogues and over-the-board controversies! Next articleIndia has 21 Million unwanted girls and 63 Million missing women! A crazy fan presented 36 Expressions of Anasuya! !